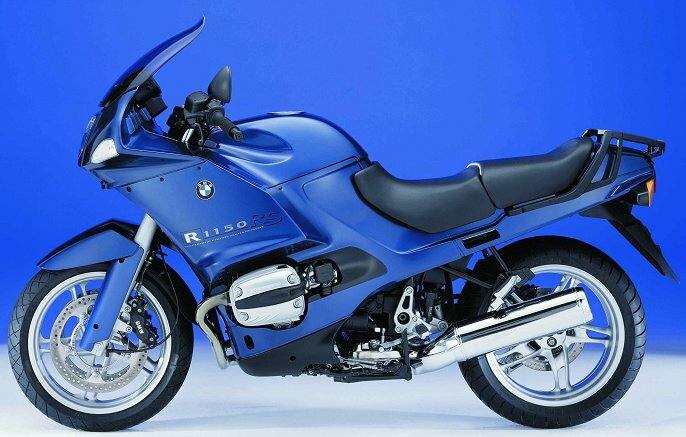 BMW’s 1130cc boxer engine has finally made it into the RS model for 2002. The new RS is pictured above. Unfortunately, not much else is known about this model at this time, including its availability date and its price. Mechanically, it should be similar to BMW’s other 1130cc models — including, improved six-speed transmission and roughly 80-85 horsepower at the rear wheel. If that doesn’t sound like much, remember this motor makes more than 60 foot/pounds of torque (peaking at about 70) over a nearly 5,000 rpm spread.